When your job requires the right-sized CNC machining center to fit your needs, Bardons & Oliver is there for you. 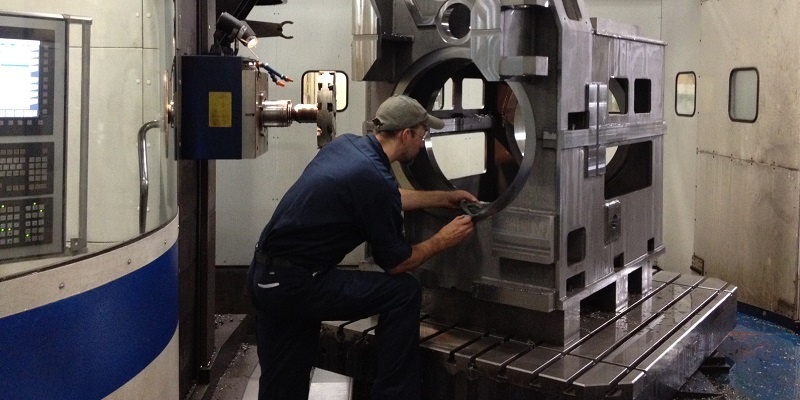 It doesn’t matter if your parts weigh a few pounds or 20,000 lbs., our wide range of CNC horizontal and vertical machining centers, along with our CNC boring mills, are ready. Our state-of-the-art machines can handle parts up to 120"/78"/60" in X, Y, and Z axes respectively. Plus, most of our machines have multiple work pallets for reduced setup times, and faster turnaround on your products. Having machines with multiple pallets and high capacity tool storage helps reduce wasted time and lower costs, providing you with the best machining value. Bardons & Oliver has many large machining centers of similar size that provide critical backup and scheduling flexibility to ease your delivery challenges. These machines are kept in top-performing condition by our skilled maintenance team. Our machining centers are tested for accuracy during scheduled preventative maintenance checks with our in-house Renishaw Ballbar equipment. Consistent evaluation of machine accuracies gives you the confidence you need to know your parts will be to spec. Another key component that produces the best machining results is having all the necessary tooling available at the right time to each machine. Bardons & Oliver understands this important point and has an extensive tooling inventory (over $1 million worth) that is precisely controlled with our TDM tool management software. This combined with our CNC tool presetter makes sure the proper tooling is provided to each machine, and guarantees your product is to spec and on time. Our overarching goal is to partner with you to provide the best precision machining source to fit your needs. Bardons & Oliver is part of machining history. For more than a century, Bardons & Oliver has innovated manufacturing processes and equipment.